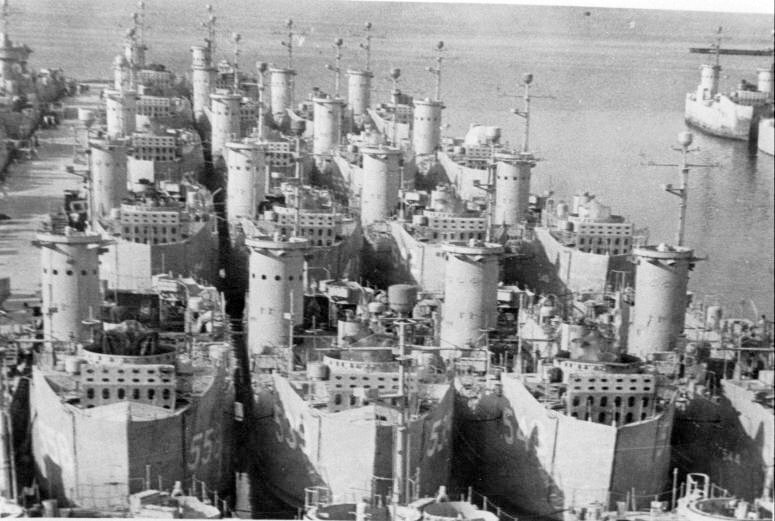 Laid down, 10 May 1945, at Brown Shipbuilding Corp, Houston, TX. Decommissioned, 29 May 1946, at Green Cove Springs FL. 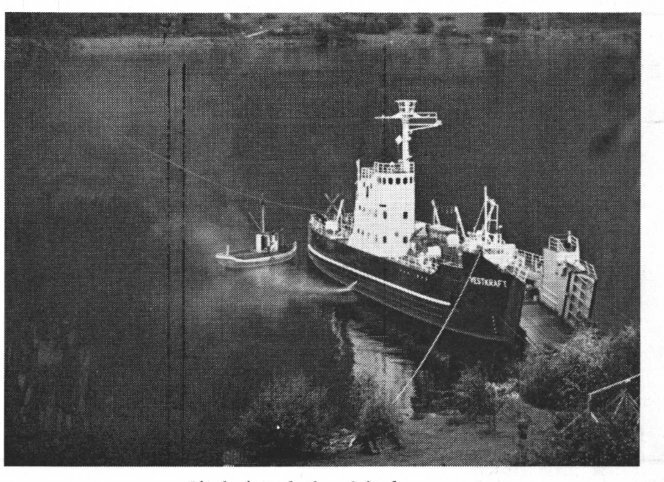 Decommissioned, 1 December 1959, at Norfolk, VA.
Sold in the summer 1961 to the Norwegian Company LL Vestlandet Kraftsamband, arriving Norway, in the middle of August at Ålesund, north western Norway where she served in building of power lines, and transporting heavy items to trackless places, building span across fjords etc. 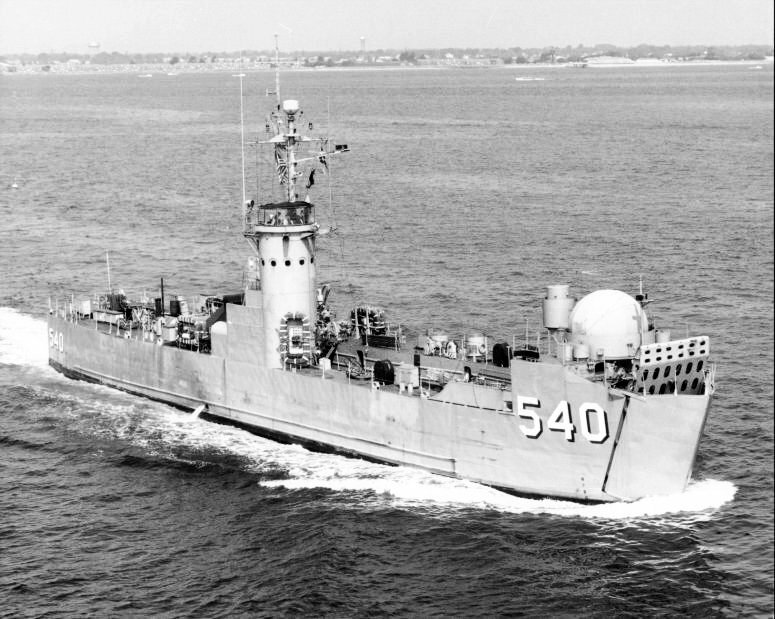 101k USS Raritan (LSM-540) under way off Hampton Roads, VA. date unknown. 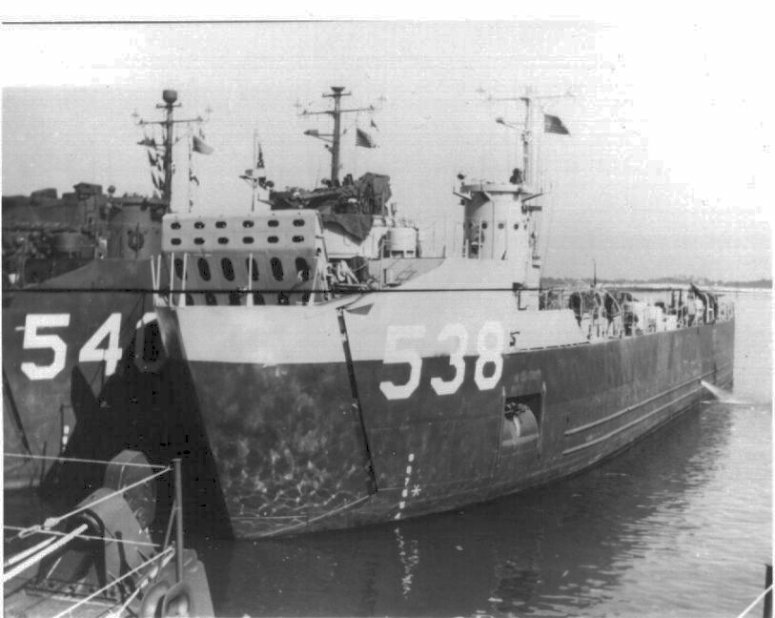 239k Ex-USS Raritan in service as MS Vestkraft for the Norwegian Company LL Vestlanske Kraftsamband, beached in Esefjorden Fjord, a branch of Sognefjorden in October 1963.